Fred T. Lee Jr, M.D. 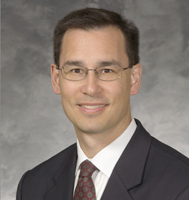 is a Professor of Radiology and Biomedical Engineering, The Robert A. Turrel Professor of Imaging Science, the past Chief of Abdominal Imaging, Oncologic Imaging and past Senior Vice Chair at the University of Wisconsin Department of Radiology. He received his B.A. and M.D. degrees from Boston University, completed an internship in surgery at the University of Massachusetts, and received his radiology training at the University of Rochester, Rochester, N.Y. He has been a University of Wisconsin faculty member since 1991, and was designated as a GE/Radiologic Society of North America Scholar in 1996. While completing the requirements for the GE/RSNA Scholars program, Dr. Lee developed an interest in minimally invasive tumor ablation therapy, leading him to establish the tumor ablation laboratory at the University of Wisconsin in 1995, one of the first of its type in the world. His work has resulted in more than 200 scientific publications, hundreds of scientific and business presentations, 20 book chapters, 24 inventions/patents and substantial federal and industrial grant support. He is the recipient of more than 50 major honors/awards including multiple "Best Doctor" awards, the UW Health Presidential Physician Leadership Award and the Grand Prize in the 2014 Wisconsin Governor's Business Plan Competition. Dr. Lee is a founding member of the International Working Group on Tumor Ablation, and a founding member of three biotech start-up companies devoted to cancer treatment: Cellectar, Inc., NeuWave Medical Inc., and Elucent Medical, LLC, all located in Madison, WI.